Since as far back as 2014, U.S. telecom-giants Sprint and T-Mobile have been engaged in on-and-off again talks about merging their networks into one — but those talks have to this day been unfruitful, with the most recent attempt having been scrapped at the discretion of Masayoshi Son, Chief Executive Officer of Sprint’s parent company, SoftBank Group. Though they ultimately fell through, the talks were never technically off the table, entirely. 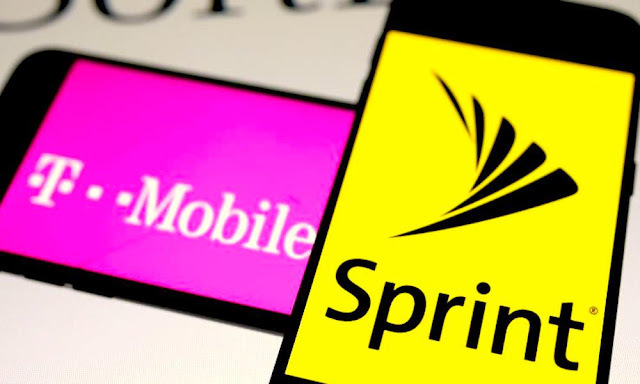 As confirmation of that, a report published on Friday asserts Sprint, T-Mobile and their principal owners are back at the negotiating table once again, with hopes of potentially announcing the terms of a new merger deal as soon as next week. Citing sources who requested anonymity, Reuters reports that if the deal goes through, Sprint and T-Mobile’s new mega-network would not only weigh in at 127 million monthly subscribers strong, but, because of that, could potentially “create more formidable competition for the No.1 and No.2 wireless players, Verizon Communications Inc and AT&T Inc,” as all ‘Big Four’ carriers race to expand and enhance their respective next-generation 5G wireless networks. Deutsche Telekom is the majority owner of T-Mobile, amassing an estimated 63 percent of the U.S.-based Magenta-clad carrier — while Japan’s SoftBank Group owns 84.7 percent of Sprint, according to the report. Sources confirmed that Deutsche Telekom and T-Mobile (NASDAQ: TMUS), whose market capitalization has soared past $55 billion, are working out the fine details of a debt financing package that would allow the deal to be funded if it ends up going though. Of course, that’s not guaranteed to happen, as sources cautioned in today’s report. T-Mobile and Sprint have previously engaged in similar talks — most recently in the fall of 2017 — but those ultimately fell through in November when SoftBank’s CEO walked away from the table amid valuation disagreements and restructuring concerns. There’s also the near certainty of regulatory hurdles that Sprint and T-Mobile will face in bringing the deal to a close. Back in 2014, when the companies first sat down to hash out an agreement, former U.S. President Barack Obama’s administration expressed concerns over potential “antitrust concerns” surrounding the merger. While it’s unclear how the Trump administration would view a potential merger deal, just looking back on some of the President’s previous opposition to deals including Broadcom’s attempt to takeover Qualcomm, and the Department of Justice’s lawsuit to block AT&T’s proposed $85 billion bid to acquire Time Warner Cable, it’s safe to assume that T-Mobile and Sprint are in for an uphill battle if they’re able to agree on terms in the first place.